Any Australian property built prior to 1980 has an increased chance that some form of asbestos material has been used in its construction. 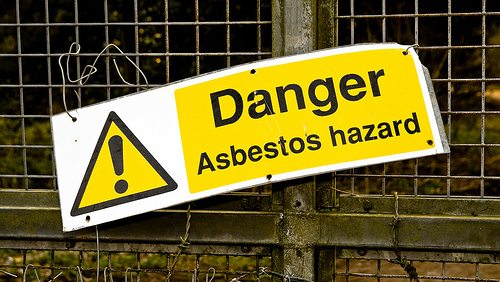 This can be a major concern for any investment property owner, particularly when faced with the potential health risks, and if necessary, the cost of asbestos removal. When is Asbestos a Health Risk? If left undamaged, asbestos does not usually pose a health risk; however, when asbestos has been disturbed or damaged, the fibres within it become a health concern to anyone exposed. Due to the serious health risks associated with asbestos, it is now law in most states and territories across Australia that every commercial building constructed prior to 31st of December 2003 has an asbestos register and an asbestos management plan. It is the responsibility of the person with control or management of the property to ensure that this register and management plan is current. An asbestos register lists all identified and assumed asbestos within a building. The asbestos management plan outlines the presence of asbestos as well as the safe work procedures, control measures and emergency procedures for a building containing any identified asbestos. This management plan must be kept up-to-date and reviewed at least once every five years. 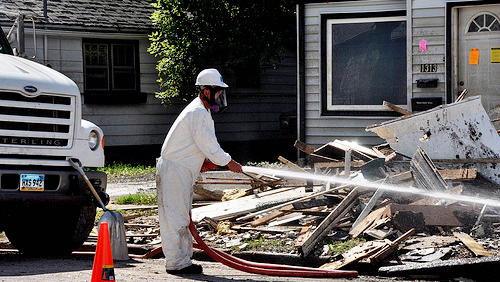 In a situation where asbestos becomes hazardous, it may need to be removed. 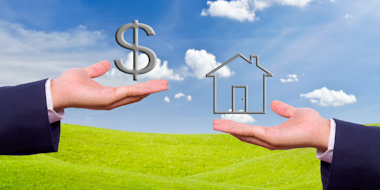 For a property owner, the cost of its removal can be a large burden. However, under Section 40-755 (Environmental Protection Act) of the Income Tax Assessment Act, a property owner is able to claim a deduction for the removal of asbestos from their income producing property if the asbestos poses a health risk. The Australian Taxation Office allows the property owner to deduct the expenditure incurred for the main purpose of carrying out environmental protection activities. The removal of damaged asbestos from a residential investment property or commercial building is classified as an environmental protection activity as its sole purpose is to prevent contamination or pollution of a property. When completing any improvement to an income producing property, including asbestos removal, make sure you contact a specialist quantity surveyor so that the remaining depreciable value of items being removed is captured. A post-work depreciation schedule should also be completed as any replaced items and structural improvements are eligible to be claimed and could mean a greater cash return from your investment property. Is it possible to identify the law in Victoria which states that every commercial building built prior to December 2003 requires an asbestos register? There seems to be some confusion about whether an asbestos register is required for EVERY commercial building built prior to that date or whether an asbestos register is only required if asbestos has been discovered or is strongly suspected. We’d recommend you contact the regulators for Victoria who will be able to provide you with details on the requirements for this state. You can also visit http://www.safeworkaustralia.gov.au/sites/SWA which provides further information and details on the regulators in each state. If you have further queries regarding how depreciation deductions apply when removing Asbestos, please do not hesitate to contact BMT Tax Depreciation on 1300 728 726. It’s an remarkable piece of writing for all the web viewers; they will obtain advantage from it I am sure.